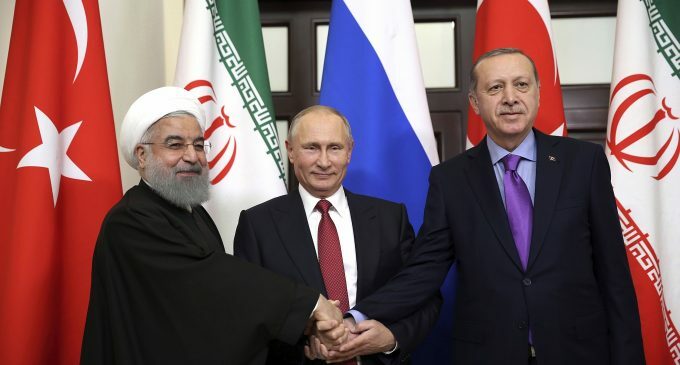 The Turkish president, Erdoğan caused a commotion on 3 Feb 2019, when he declared during an interview with the TV Channel TRT, that Turkey was still keeping up diplomatic relations with Syrian personalities. He emphasized that it was not in Turkey’s interests to cleanly sever all ties in any relationship, even one with its enemies. Up till now, President Erdoğan had declared that the reason for Turkish military presence in Syria was primarily to topple the “dictator”. On 4 February, the spokesperson for President Ibrahim Kalin, took great pains to clarify that maintaining a dialogue with Damascus did not signify that Turkey was recognizing the Assad government. President al-Assad regularly sends to the White Palace in Ankara a non-official envoy to hold discussions with President Erdogan’s government. This practice continued for the entire duration of the war bar one year. On 5 February, the private TV channel NTV declared that Turkey would very shortly have a special envoy, with the rank of ambassador, to deal with the Syrian issue. Following the ministerial reshuffling, the Vice Minister for Foreign Affairs is in charge of Turkey’s relations with all states apart from those that belong to the European Union and the United States. He will probably take on the role of supervising the work of the new special envoy.